يوفر فندق Marty's At Little Beach Apartments ظروف إقامة راقية وهو خيار رائج للسياح ولرجال الأعمال أيضاً. يقع في منطقة برامج عائلية, سياحة, شواطئ من بورت ستيفنس. يمكن من هنا للضيوف الاستمتاع بسهولة الوصول إلى كل ما تقدمه هذه المدينة النابضة بالحياة. يوفر الفندق بفضل موقعة الجيد وصولاً سهلاً إلى أهم معالم المدينة.
. إن الخدمات التي يقدمها Marty's At Little Beach Apartments تضمن للنزلاء إقامة مريحة. يقدم الفندق فرصة للاستمتاع بشريحة واسعة من الخدمات بما فيها: واي فاي مجاني في جميع الغرف, تسجيل وصول/خروج سريع, تخزين الأمتعة, واي فاي في المناطق العامة, صف السيارات . استمتع بوسائل الراحة الراقية في الغرف أثناء إقامتك هنا. بعض الغرف تتضمن تلفزيون بشاشة مسطحة, اتصال لاسلكي بشبكة الإنترنت (مجاني), حوض الاسترخاء, غرف لغير المدخنين, مكيف هواء لمساعدتك على استعادة طاقتك بعد يوم طويل. يمكنك الاستمتاع بالأجواء المريحة التي تقدمها حمام سباحة خارجي, ملعب للأطفال, حديقة طوال النهار. اكتشف مزيجاً ساحراً من الخدمة الاحترافية والخيارات الواسعة من وسائل الراحة والمتعة في Marty's At Little Beach Apartments. الأطفال بجميع الأعمار مشمولين بطاقة الاستيعاب القصوى. سيوفر العقار رقم هاتف على باب الاستقبال للنزلاء الذين يصلون بعد 17:00. من فضلك قم بالاتصال بالرقم المُعطى عند الوصول. This hotel well maintained, clean and no hassle to check in and check out. Very suitable for family to stay. Easy access to both beaches. Although we had a week of wet weather, we really enjoyed the apartment at Marty’s. 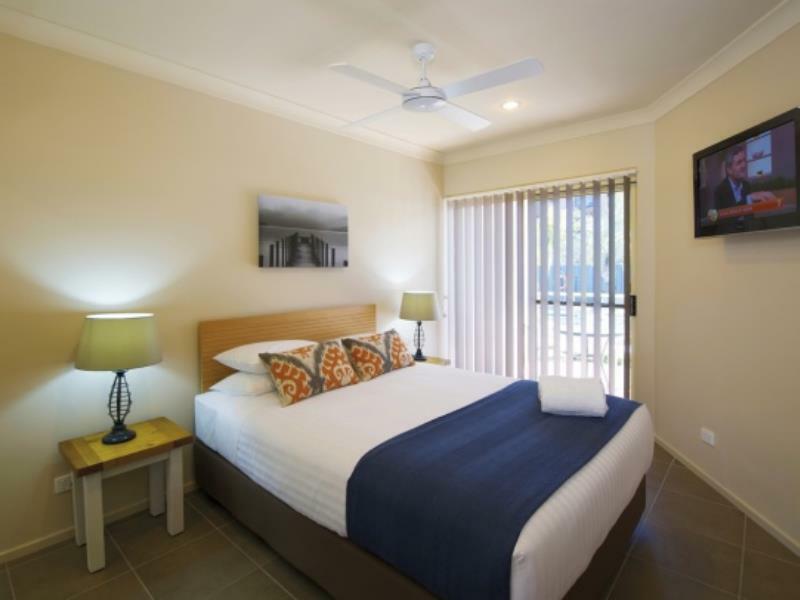 Sue gave us a friendly welcome and we appreciated the cleanliness, facilities and comforts . 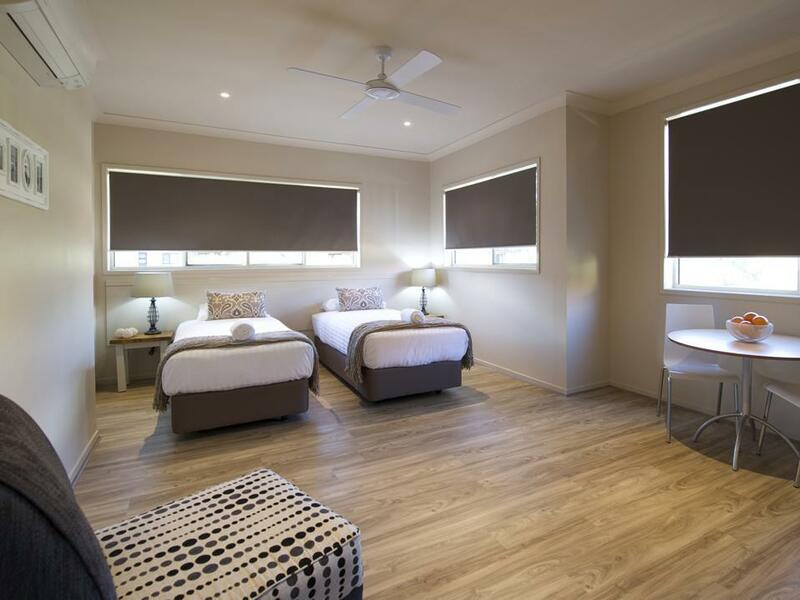 The bathroom is large and well appointed; the bedroom had a QS bed and plenty of storage and a door out to the balcony shared with the lounge room. 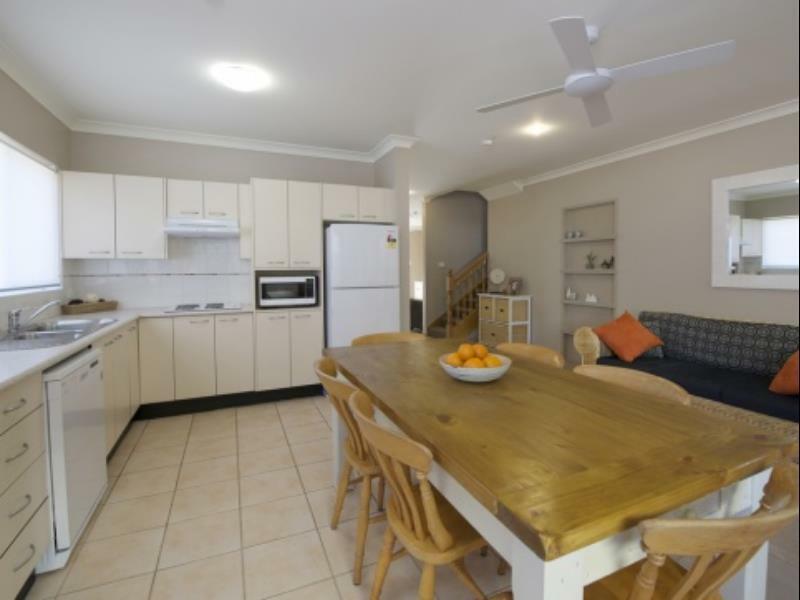 The kitchen had a microwave, hot plates, full sized fridge and dishwashers. This is a very well maintained property. 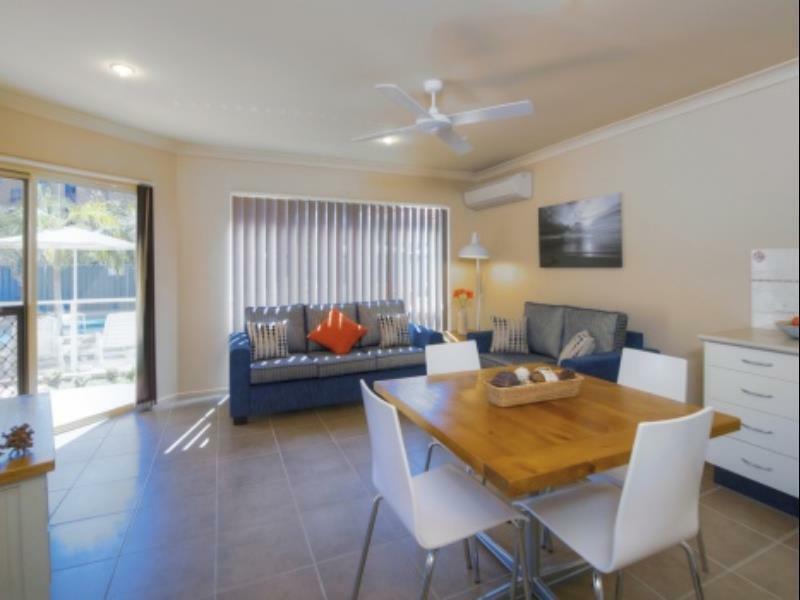 It is within easy walking distance of two beaches and close to restaurants. It is about an hours drive from Newcastle and approx half an hour from the airport. Despite the weather we enjoyed our stay. We only spent one night here but wished it could have been longer. What a lovely place to stay. When we arrived we were up-graded to a 2 bedroom apartment with a lovely balcony. The apartment looked like it was recently renovated and was spotless. A pleasure to stay here. I stayed with friends who also booked apartments at Marty's! It was PERFECT!! Everything you need and super close to everything. The apartment was exactly as described (and reviewed) it was very clean, well equipped and comfortable. 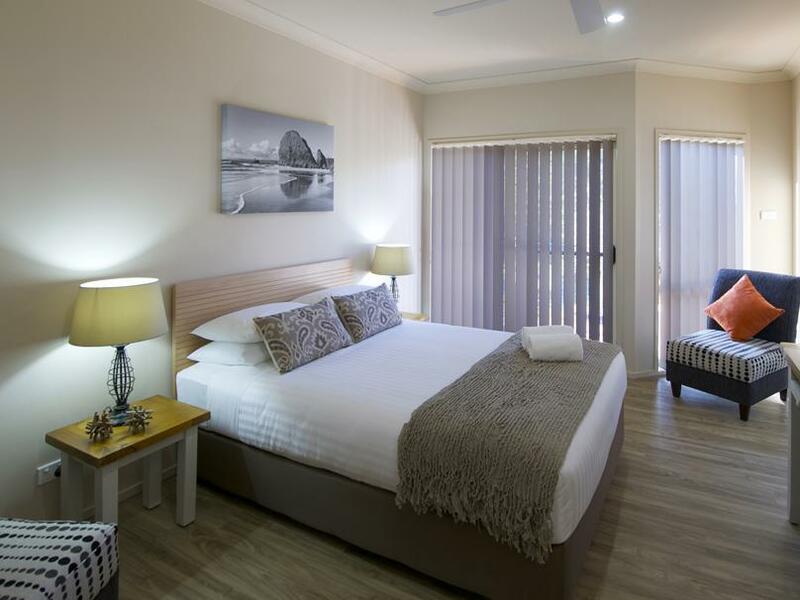 The location is only a three minute walk from Little Beach and Shoal Bay and not too far from Nelson Bay Marina. We'd be highly likely to stay here again. Friendly staff. Very clean and tidy premise. Only a very short walk from the beach. From de decoration of the apartment to the assistance of the friendly staff, our stay at Marty's was amazing. Well located, beautiful swimming pool and nice barbecue area. 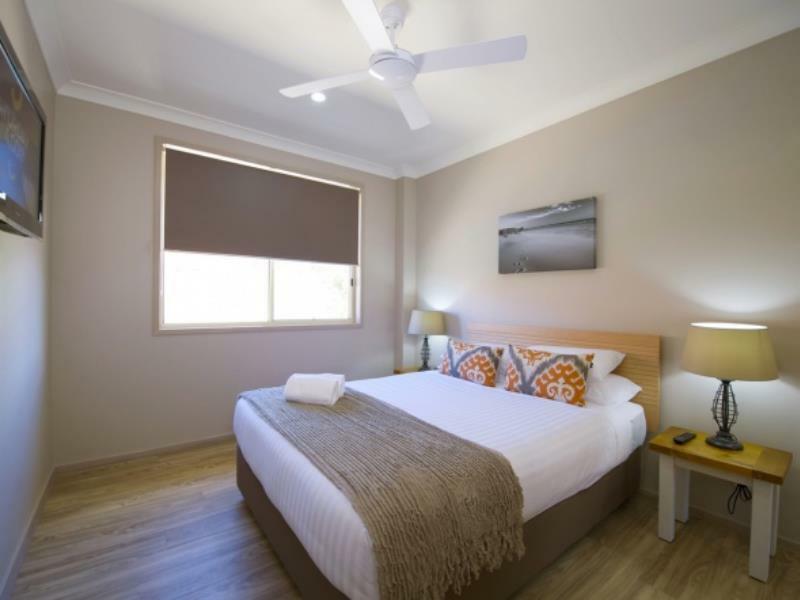 Comfortable beds and fully equipped apartments. I recommen it! We stayed there with the family and enjoyed every-bit. A little overpriced but loved our stay. No Cons. The pros was the whole experience, we were very happy with everything in the apartment in particular how clean it was. I am very fussy and it is not often that I can just relax and not have to clean before I use something. At Marty’s it was all up to my high standard. They are to be congratulated on there high standards. We had a lovely time and the heated pool was perfect for the April weather. Apartment was clean and had everything we needed. We had a great holiday. stayed here for one night. room was very nice with very new interior. everything you need was provided. swimming pool rather small. location was fine.